singer-actor Howard Keel was born in Gillespie, Illinois. 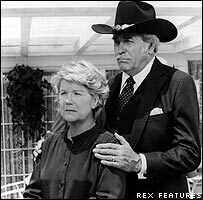 Keel’s strong baritone was featured in such 1950’s movie musicals as “Annie Get Your Gun,” “Show Boat, “Seven Brides for Seven Brothers” and “Kismet.” His career was revived in the ’80s with a featured role on the television series “Dallas” (above). Keel died November 7th, 2004 at age 85. In 1940, the No. 1 Billboard Pop Hit was “In the Mood,” by the Glenn Miller Orchestra. In 1941, a radio crime drama based on a series of films about a British police inspector, Bulldog Drummond debuted on the Mutual Broadcasting System. It had an 8 year run. In 1944, Jack Casady, bass player with Jefferson Airplane and Hot Tuna, was born in Washington, D-C. The Airplane was one of the most important groups to emerge from the San Francisco area during the 1960’s. 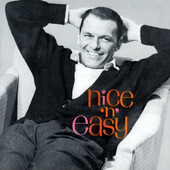 “Somebody to Love” and “White Rabbit” were their big hits. Casady and guitarist Jorma Kaukonen from the Airplane formed the group Hot Tuna in 1970. In 1951, “How High the Moon” by Les Paul and Mary Ford hit #1 for 9 weeks on the Billboard Pop Music chart. In 1953, the National Edition of “TV Guide” was launched. 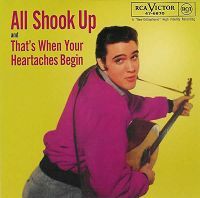 In 1957, “All Shook Up” by Elvis Presley vaulted into the #1 position on the Billboard charts for 9 weeks and on the Cashbox Singles chart for 8 weeks. In 1958, Van Cliburn became the first American to win the Tchaikovsky International Piano Competition in Moscow. As a result of his success, Cliburn’s debut album, a recording of Tchaikovsky’s 1st piano concerto, became the first classical L-P to sell one-million copies. In 1963, the Kingsmen recorded what would become a classic party anthem — “Louie Louie.” The Portland, Oregon studio session was reported to have cost them 50 dollars. In 1965, Roger Miller set a record for country artists by winning five Grammy Awards. Stan Getz and Astrud Gilberto’s “Girl from Ipanema” won a Grammy for Record of the Year, Stan Getz & Joao Gilberto’s “Getz/Gilberto” took the Grammy for Album of the Year. The Beatles won a Grammy as Best New Artist of the Year. Also in 1965, The Beatles recorded their future classic “‘Help” during an evening recording session at the Abbey Road studios in London. In 1966, Bob Dylan appeared at Sydney Stadium, the first of seven shows in Australia, midway through his four-month world tour. Also in 1966, The Beatles started working on “Paperback Writer.” The McCartney composition was completed the following day. In 1967, The Rolling Stones give their first performance behind the Iron Curtain, playing the Palace of Culture in Warsaw. Polish riot police were needed to deal with two-thousand people who couldn’t get tickets. In 1968, Bobby Goldsboro started a five week run at No.1 on the US singles chart with the song ‘Honey’. 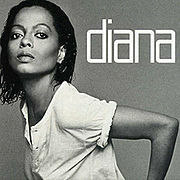 In 1969, Diana Ross appeared without the other two Supremes on Dinah Shore’s NBC-TV special “Like Hep”. Ross left the group the following year. In 1970, Led Zeppelin became the first band to sell out the Montreal Forum. More than 15,000 fans happily paid to have their eardrums assaulted. In 1971, the first CRTC public hearings on cable television were held. Also in 1973, Roger Daltrey of The Who released his first solo album, “Daltrey.” It had been recorded during a hiatus in the group’s touring schedule. 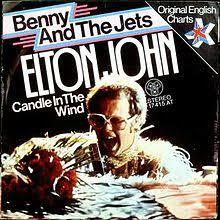 In 1974, Elton John rose to No.1 on the Billboard singles chart with ‘Bennie And The Jets’, his second US No.1. In 1979, while playing with Van Halen in Spokane, David Lee Roth collapsed on stage from exhaustion. in 1982, while David Crosby awaited trial on concealed weapon and illegal drug possession charges, Dallas police arrested him again after finding him preparing a “speedball” of cocaine backstage before a show. In 1983, bassist Pete Farndon of the Pretenders (Brass In Pocket, Back On The Chain Gang) died of a drug overdose at the tender age of 30. 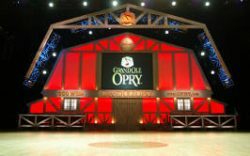 In 1985, “The Grand Ole Opry,” a Saturday night radio staple from Nashville that holds the longevity record for any live broadcast, came to cable TV. ‘The Nashville Network’ presented the country music jamboree to some 22-million homes across the U.S. and Canada. Also in 1985, “We Are the World” by USA for Africa topped the charts and stayed there for 4 weeks. In 1986, the cast of the long-running sitcom “The Andy Griffith Show” reunited for the NBC-TV film “Return To Mayberry.” It attracted the largest audience of any TV-movie that year. Also in 1986, singer-actress Irene Cara, the star of the movie “Fame” and winner of an Oscar and a Grammy for the title song from “Flashdance,” married stuntman Conrad Palmisano atop a sea cliff in Palos Verdes, California. In 1989, second-generation entertainer Jack Jones helped unveil his own star on the Hollywood Walk of Fame. He’s probably best known for singing the “Love Boat” theme. In 1990, Pat Sajak‘s late night CBS-TV show aired for the last time, becoming yet another victim of the much more popular Tonight Show starring Johnny Carson. Also in 1990, Madonna kicked off her third tour (entitled the “Blond Ambition World Tour”) as she played the first of three nights at Chiba Marine Stadium in Tokyo. It would become “the Greatest Tour of the 1990’s” according to Rolling Stone magazine. In 1994, singer Billy Joel and model Christie Brinkley announced their separation after nine years of marriage. They divorced later that year. In 1995, Leonard Rambeau, who guided the careers of Anne Murray, George Fox and Rita MacNeil, died in Toronto of cancer at age 49. Rambeau headed Murray’s management company, and was her personal manager. Murray called him “the only indispensable person” in her career. Also in 1995, two months after its final broadcast the CBC made it official: the longrunning “Front Page Challenge” was cancelled. For 38 years the panel show that gave us Gordon Sinclair, Betty Kennedy, Pierre Berton, Jack Webster, Allan Fotheringham, and Fred Davis had been a popular weekly feature on the CBC-TV schedule. In 1999, Jack Kervorkian was sentenced in Pontiac, MI, to 10 to 25 years in prison for the second-degree murder of Thomas Youk. Youk’s assisted suicide had been videotaped and shown on “60 Minutes” in 1998. Also in 1999, VH1 debuted their Internet radio station called VH1 at Work. The first webcast was the “Divas Live” concert. In 2000, Metallica sued the online song-swapping service Napster for copyright infringement. Also in 2000, Heather Mills won 200,000 pounds (US $316,700) in damages for the 1993 accident that claimed her left leg. Mills, Paul McCartney‘s girlfriend, received the out-of-court-settlement without any admission of guilt from the motorcycle cop she was suing. In 2002, Toronto songwriter Shirley Eikhard made a surprise stage appearance at Toronto’s Massey Hall. She joined Bonnie Raitt in a duet on Eikhard’s “Something to Talk About,” a Grammy-winning smash hit for Raitt in 1991. In 2003, The Beatles’ Apple Corp company was listed as Britain’s fastest profit-growth firm with an annual profit growth of 194%. In 2004, songwriter/producer Richie Cordell, who worked most notably on the hit tracks of Tommy James & The Shondells, lost his battle with pancreatic cancer at age 61. 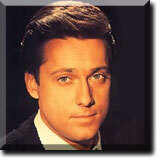 In 2005, Rock & Roll Hall of Fame piano player Johnnie Johnson died in St. Louis at 80 years of age. Johnson teamed with Chuck Berry for hits like Roll Over Beethoven and No Particular Place to Go. Their collaboration helped define early rock ’n’ roll, as Johnson composed the music on piano, then Berry converted it to guitar and wrote the lyrics. Berry’s Johnny B. Goode was a tribute to Johnnie Johnson. Also in 2005, composer/arranger Salvador Tutti Camarata, who arranged the big band classics, “Tangerine” and “Green Eyes” for the Jimmy Dorsey Orchestra, and who helped start and run Disneyland Records for two decades, died at age 91. In 2007, Julian Lennon sold a “significant” share of his financial interest in the songs his father John co-wrote for the Beatles, to U.S. music publishing company Primary Wave. In 2008, producer and drummer Clifford Davies, was found dead from a self-inflicted gunshot wound in his home in Atlanta, aged 59. Davies, who had worked with Ted Nugent from 1979-1982, was reportedly “extremely distraught” over outstanding medical bills. Also in 2008, The Who’s Roger Daltrey and Pete Townshend played a special acoustic set during the final night of the Teenage Cancer trust’s concert series at London’s Royal Albert Hall. “I was really thrilled when Pete called up and offered to do this,” said Daltrey, a longtime supporter of the charity. 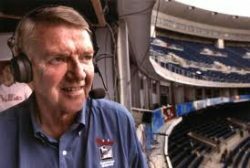 In 2009, for 38 years the play-by-play voice of the Philadelphia Phillies, Harry Kalas collapsed in the visitor’s broadcast booth at the Washington Nationals’ home ballpark, and died of heart disease at age 73. Also in 2009, after nine days of deliberations a Los Angeles jury found Phil Spector guilty of second-degree murder in the shooting death of actress Lana Clarkson in 2003. The 69 year-old record producer was sentenced to spend at least 18 years behind bars. Still in 2009, Procol Harum‘s “A Whiter Shade of Pale” was declared the “most heard” song in the UK over the past 75 years, according to a chart compiled for BBC Radio 2. Queen‘s “Bohemian Rhapsody” was in second place. In 2010, the songs of Elvis Presley were featured on American Idol. The nine finalists took a swing at “Hound Dog,” “Can’t Help Falling In Love” and “Suspicious Minds,” among others. The Idol runner-up from the previous year, Adam Lambert, was the week’s guest mentor. In 2012, Hamilton Ont.-born actor Jonathan Frid, who starred as a vampire on the gothic ABC-TV soap opera “Dark Shadows” in the late 60s and early 70s, died after a fall at age 87.
in 2013, actor Frank Bank, who played Clarence “Lumpy” Rutherford on the hit 1950’s TV sitcom “Leave it to Beaver” and the cable TV series “The New Leave it to Beaver” in the ’80’s, died one day after his 71st birthday. Also in 2013, Chi Cheng, the bassist with the alternative metal band Deftones, died at age 42, after a 2008 car crash left him comatose. In 2016, Red Hot Chili Peppers bassist Flea performed the national anthem at Kobe Bryant’s final NBA game in which Kobe scored 60 points to lead a victory over the Utah Jazz. Flea was knwn to be a mega L.A. Lakers fan. 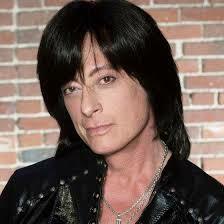 In 2018, singer/songwriter/guitarist/producer Joe Lynn Turner (formerly of Rainbow & Deep Purple) suffered a myocardial infarction (heart attack) while visiting his wife’s relatives in Minsk, Belarus, and spent weeks in hospital recovering. Actor Lyle Waggoner (The Carol Burnett Show, Wonder Woman) is 84. Vancouver-born actor Doug McGrath (Murdoch Mysteries, The Edison Twins) is 84. UK actor Edward Fox (Edward & Mrs. Simpson) is 82. Actor Paul Sorvino (That’s Life, Law & Order) is 80. Singer Lester Chambers of The Chambers Brothers is 79. Conductor/composer Bill Conti (Academy Awards, Falcon Crest, Dynasty) is 77. Musician Jack Casady of Jefferson Airplane is 75. Actor Tony Dow (Leave It To Beaver) is 74. Musician Al Green is 73. Actor Ron Perlman (Sons of Anarchy) is 69. Actor William Sadler (Roswell) is 69. Drummer Max Weinberg (The E Street Band, Conan O’Brien’s ex-musical director) is 68. Keyboardist Jimmy Destri (Blondie) is 65. Actress Saundra Santiago (The Guiding Light, Damages, One Life to Live, Miami Vice) is 62. Comedian/actor/voicist Gary Kroeger (Sat. Night Live, Dilbert) is 62. Montreal-born actress/comedian/host/voicist Caroline Rhea (Match Game, Phineas & Ferb, Sordid Lives: The Series, Biggest Loser, Sabrina the Teenage Witch) is 55. Actress Page Hannah (Fame) is 55. Actor Simon Paisley Day (Titanic) is 52. Actor Rick Schroder (24, NYPD Blue, Silver Spoons) is 49. Actress Alexandra Adi (Step By Step) is 48. Actress Marci T. House (Tarzan & Jane, Strange Empire) is 47. Singer Aaron Lewis of Staind is 47. Actor Bokeem Woodbine (Underground, Fargo, Southland, Saving Grace) is 46. Actress Juliet Tablak (Married with Children) is 45. Singer Lou Bega is 44. Actor/voicist Glenn Howerton (It’s Always Sunny in Philadelphia, The Cleveland Show) is 43. Actor Kyle Howard (Royal Pains, My Boys, Drew Carey Show, Grosse Pointe) is 41. Actress Kelli Giddish (Law & Order: SVU, Chase, All My Children) is 39. Actress Courtney Peldon (Boston Public, Harry & the Hendersons) is 38. Actor Kate Lambert (Teachers) is 38. Actor Matt McGorry (How to Get Away With Murder, Orange is the New Black) is 33. Actress Genevieve Angelson (Good Girls Revolt, Backstrom) is 32. Writer/producer/narrator Brandon Hardesty (No Small Parts) is 32. Actor Roland Buck III (Chicago Med) is 31. Actress Allison Williams (Girls) is 31. Actor Harrison Knight (The Inspectors) is 28. Actress Emma Degerstedt (Unfabulous) is 27. Actor Jordan Nichols (Supah Ninjas) is 27. Actress Hannah Marks (Necessary Roughness) is 26. Actress Ariane Rinehart (Sound of Music Live!) is 25. Actor Lyle Waggoner (“The Carol Burnett Show”) is 84. Actor Edward Fox is 82. Actor Paul Sorvino is 80. Singer Lester Chambers of The Chambers Brothers is 79. Composer Bill Conti (“Rocky” film theme) is 77. Musician Jack Casady of Jefferson Airplane is 75. Actor Tony Dow (“Leave It To Beaver”) is 74. Musician Al Green is 73. Actor Ron Perlman is 69. Actor William Sadler (“Wonderfalls,” ”Roswell”) is 69. Singer Peabo Bryson is 68. Drummer Max Weinberg of the E Street Band (and “Late Night With Conan O’Brien”) is 68. Keyboardist Jimmy Destri (Blondie) is 65. Actress Saundra Santiago (“Miami Vice”) is 62. Guitarist Joey Mazzola of Sponge is 58. Actress Page Hannah (TV’s “Fame”) is 55. Actress-comedian Caroline Rhea (“Sabrina the Teenage Witch,” ”The Biggest Loser”) is 55. Bassist Lisa Umbarger (The Toadies) is 54. Guitarist Marc Ford (Black Crowes) is 53. Actor Ricky Schroder is 49. Singer Aaron Lewis of Staind is 47. Actor Bokeem Woodbine (TV’s “Fargo,” ”Saving Grace”) is 46. Singer Lou Bega is 44. Actor Glenn Howerton (“It’s Always Sunny in Philadelphia”) is 43. Actress Kelli Giddish (“Law and Order: SVU”) is 39. Actress Courtney Peldon (“Boston Public”) is 38. Singer Nellie McKay is 37. Rapper Ty Dolla $ign is 37. Actress Allison Williams (“Girls”) is 31.